The essential utility bench is perfect for those looking to gain a wide range of functionality from a single bench. 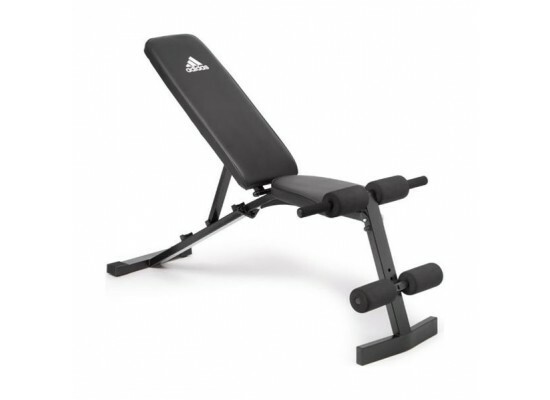 It can be used with both dumbbell and bodyweight exercises, allowing for specific muscle targeting and enhanced workout function, letting you really enhance your bench exercise regime. 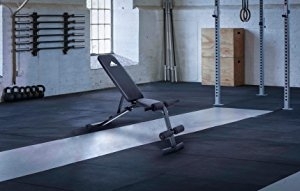 Incline adjustment to three key positions (incline, decline, and flat) places emphasis on different parts of the chest, arms, shoulders and back; allowing you to optimize results with dynamic sessions. Upholstered Foam Back Pad. Removable Dip Grips. 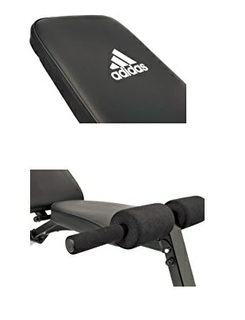 Upholstered Foam Back Pad Provides a comfortable backing for support with each repetition. 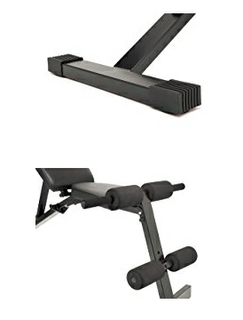 The Removable Dip Grips attaches to the foam rollers for added functionality and possibility for more exercises. Rubber Feet. Foam Pad Rollers. Rubber Feet helps to prevent floor marks as well as reducing movement during exercise. Foam Pad Rollers allows you to lock your legs in comfortably providing added stability and reducing risk of injury.